Semtech Corporation (Nasdaq: SMTC), a leading supplier of high performance analog and mixed-signal semiconductors and advanced algorithms, announced the availability of its new synchronous rectifier controller (SR controller). Semtech’s SR controller features programmable gate drive voltages used to improve inventory management by allowing customers to utilize one single part for various devices including laptops, cell phones and gaming consoles. The new SR controller, TS4305, is designed to enhance efficiency in AC/DC adapters and can be used in conjunction with MOSFETs (metal-oxide semiconductor field-effect transistor) to reduce losses in traditional schottky rectification diodes, resulting in a smaller and lower cost solution. 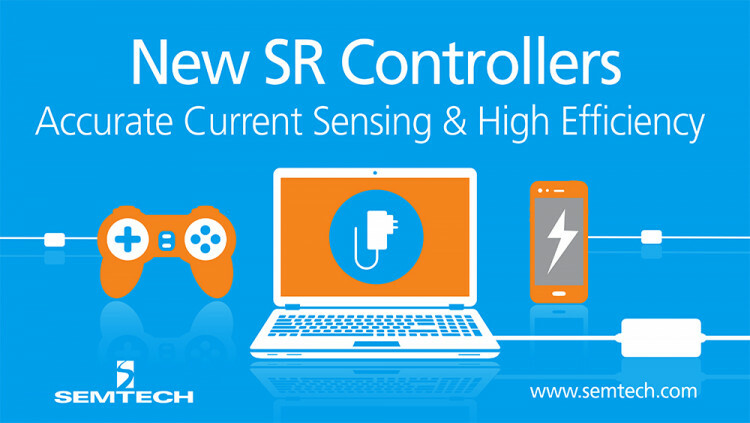 Semtech’s SR controller is based on a new innovative design that senses the current crossing the MOSFET and offers external adjustable turn-on and turn-off thresholds. While many solutions use a voltage detection approach, Semtech’s use of current sensing offers many advantages. When used in AC/DC adapters, the SR Controller enables simpler external circuitry and offers precise turn-on and turn-off timing. The technology also includes the unique ability to parallel with schottky diode which is more efficient during light-load operations. All of these advantages results in solutions with higher efficiency and higher power density. The SR controller (TS4305) is available immediately in production quantities and is priced at $0.17 each in 1,000-piece lots. Semtech offers comprehensive design assistance, including field- and factory-based support. Datasheets, volume pricing, and delivery quotes, as well as evaluation kits and samples, are available at http://www.semtech.com/apps/form_request/. Semtech supplies a wide range of power management ICs used in telecommunications and industrial equipment, portable devices, computers, and networks. Our products include feature rich, highly integrated products for the telecom industry, and low power, small-package, high-efficiency products for cell phones, handsets, notebook PCs and other portable devices. In addition, we continue to supply power products that enable the latest architectures from industry leaders such as Intel and AMD. • View all power management products: www.semtech.com/power-management. • Contact Semtech’s customer service team for technical support or general product inquiries. • Follow Semtech on Twitter, Facebook, LinkedIn and Google+. All statements contained herein that are not statements of historical fact, including statements that use the words “designed to” or other similar words or expressions, that describe Semtech Corporation’s or its management’s future plans, objectives or goals are “forward-looking statements” and are made pursuant to the Safe-Harbor provisions of the Private Securities Litigation Reform Act of 1995, as amended. Such forward-looking statements involve known and unknown risks, uncertainties and other factors that could cause the actual results of Semtech Corporation to be materially different from the historical results and/or from any future results or outcomes expressed or implied by such forward-looking statements. Such factors are further addressed in Semtech Corporation’s annual and quarterly reports, and in other documents or reports, filed with the Securities and Exchange Commission (www.sec.gov) including, without limitation, information under the captions “Management’s Discussion and Analysis of Financial Condition and Results of Operations” and “Risk Factors.” Semtech Corporation assumes no obligation to update any forward-looking statements in order to reflect events or circumstances that may arise after the date of this release, except as required by law. Semtech and the Semtech logo are registered trademarks or service marks of Semtech Corporation or its affiliates.